Our domain expertise lies in manufacturing & supplying Welding Fiber Blanket from Gujarat, India. These blankets are made up of fire retardant fiberglass fabrics and heat-resistant materials thus, high in demand. Our Welding Fiber Blanket provide protection from sparks, spatter and slag generated during welding or metal-cutting applications. Buyers are free to place orders, we ensure timely deliveries. For reasonable prices, trust us! Our Welding Fiber Blanket provide protection from sparks, spatter and slag generated by welding or metal-cutting applications. Our blankets are made to size from a variety of heat-resistant materials. Wilson continues to search asbestos replacements by pioneering the use of the latest fiberglass fabrics. 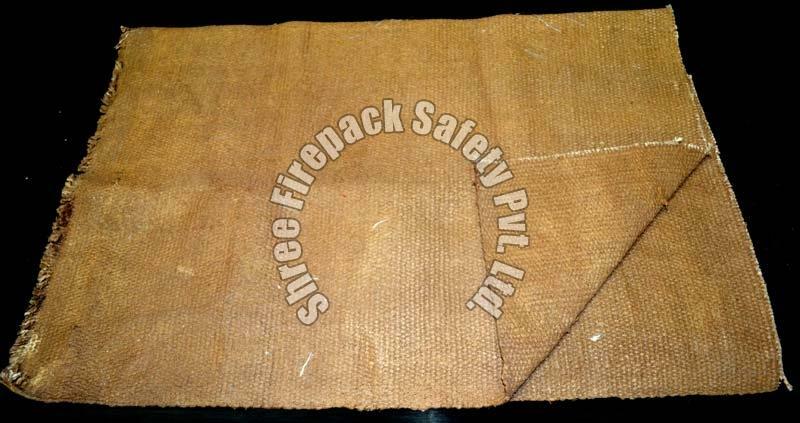 We are one of the most leading manufactures of ASTM Approved Fire blanket in India. Fire blanket is a highly flame-resistant blanket that can be used to either extinguish a small fire or to wrap around a person. In order for a fire to burn, all three elements of the fire angle must be present: heat, fuel and oxygen. A fire blanket either completely surrounds a burning object or is placed over a burning object and sealed closely to a solid surface around the fire. A welding Fire blanket is a safety device designed to extinguish small incipient (starting) fires. It consists of a sheet of fire retardant material asbestos, fiberglass or even ceramic fiber cloth which is placed over a fire in order to smother it. we are a prominent fiberglass blankets manufacturer and supplier based zn India. We are the leading manufacturer, supplier and importer of fiberglass blankets.